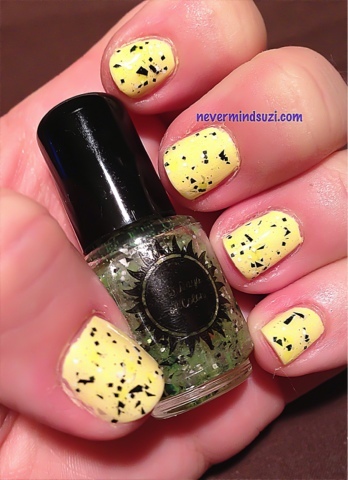 Gnarly Neon Nails is a clear base with neon yellow micro glitters, neon yellow hexes, black and white squares and translucent shards. 2 coats over Lime Crime - Crema De Limon. This yellow was even more eye-catching in the flesh!